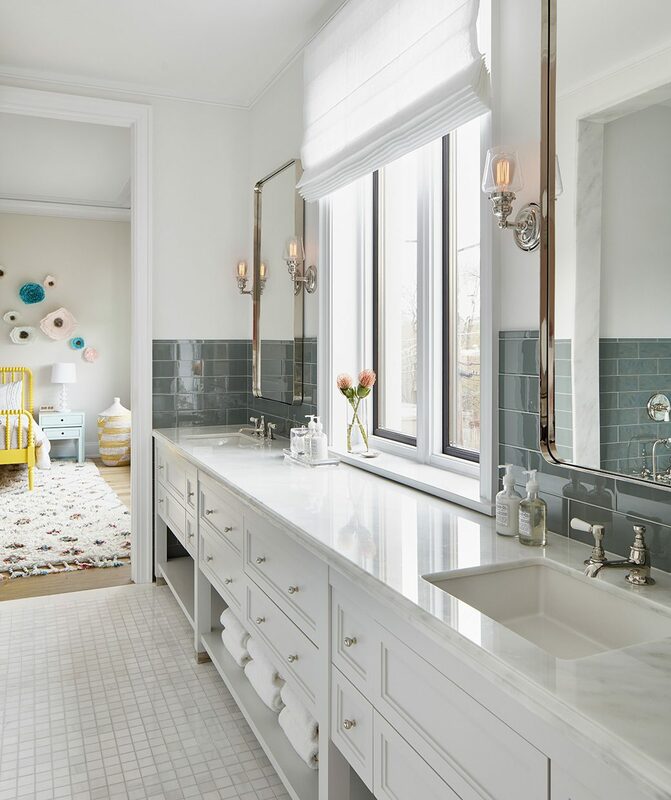 Our Lincoln Park Transitional Home incorporated many spaces for this family’s children including this Jill and Jill bathroom (pictured above) located between the two girls bedrooms. Ample storage and counter space in the custom-built vanity will allow both girls to use this room for many years to come. The client envisioned a combined playroom and craft room from the beginning of the project and it was a delight to make this custom space a reality. Plenty of built-in storage and a custom zinc sink allow for a functional space to support limitless creativity. Other details include: hand painted terrazzo floor tiles, custom designed craft table, and hand-painted millwork. 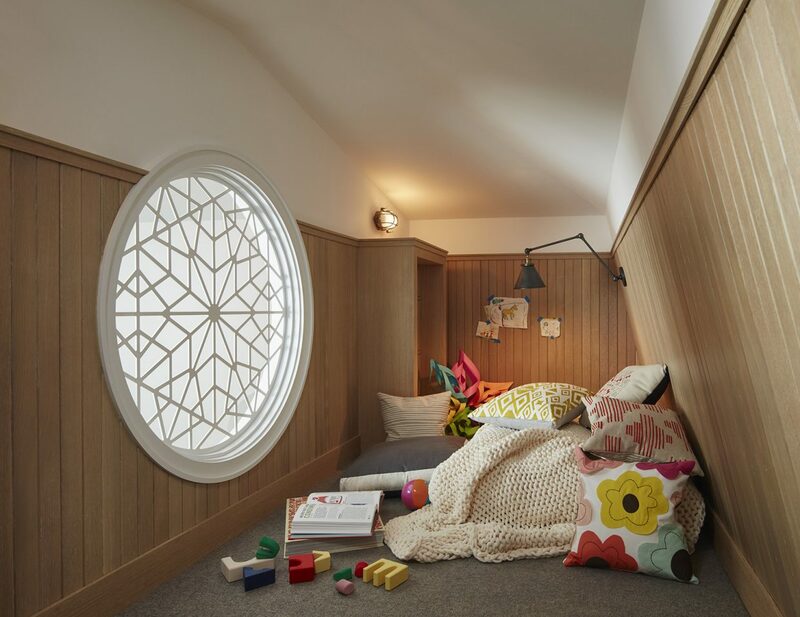 The playroom loft is a special space that the children can use for sleepovers with friends or as a quiet place to read and study when they get older. A custom designed laser cut metal portal was created as the centerpiece of the room.